With FileMaker Cloud, you're now able to easily share information with your team. FileMaker Cloud provides secure, reliable access to your custom apps using FileMaker Pro, FileMaker Go and FileMaker WebDirect all without the administrative hassle. 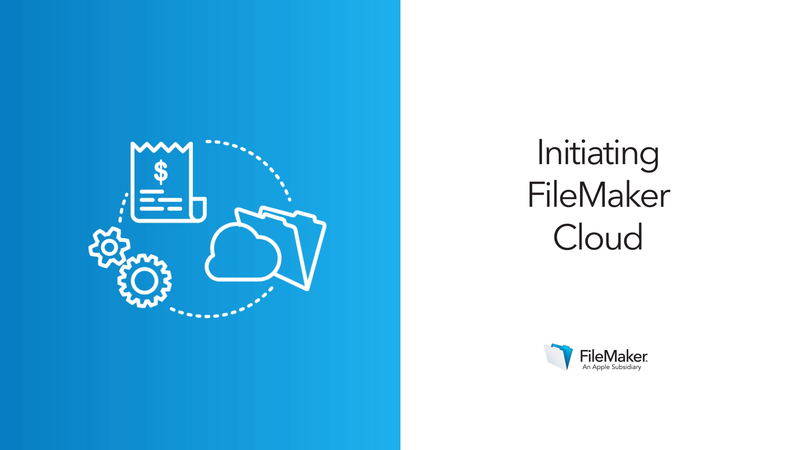 FileMaker Cloud runs on the Amazon Web Services Cloud and is offered through AWS Marketplace. This means there are a few different phases to the initial setup. Because purchasing AWS and FileMaker Cloud can feel a little complicated, this lesson will walk you through the setup process, step by step. Before you begin, you should have an Amazon Web Services account. Note that this is different from the account you may use to browse and shop on amazon.com as a consumer. If you don’t already have an AWS account, visit aws.amazon.com for more information. To ensure the security of your cloud server, AWS and FileMaker Cloud require you to complete a number of different steps during setup. Some of these steps are accompanied by a dizzying amount of information. This lesson will highlight which steps are necessary and which are optional, so you can get your cloud server up and running more quickly. Once your FileMaker Cloud instance is running, you’ll be able to load your app and share it with users! Review the FileMaker Cloud Getting Started Guide to learn how to deploy FileMaker Cloud on Amazon Web Services (AWS). Walk through purchasing and setting up FileMaker Cloud. Walk through steps on how to create a FileMaker Cloud Stack.